Last year’s Eastern Conference Final between the Cleveland Cavaliers and Toronto Raptors may have went to 6 games, but not one of those games was nearly as competitive or entertaining as tonight’s was. In their first meeting since the Cavs ended the Raptors season in Toronto last year, Cleveland found a way to hold off a fiery Raptors team which was clearly looking for revenge. Kyrie Irving led the way for the victorious Cavs, finishing with 26 points and the game winning three pointer late in the 4th quarter. LeBron James added 21 points, 8 rebounds, and 7 assists, a pretty typical night of play for him. On the other side, DeMar Derozan did everything he could to knock off Cleveland, going for 32 points including a huge dunk over Tristan Thompson in the 4th quarter. Kyle Lowry had an off night, shooting just 4-14 and tallying up a -16 in 32 minutes of play. 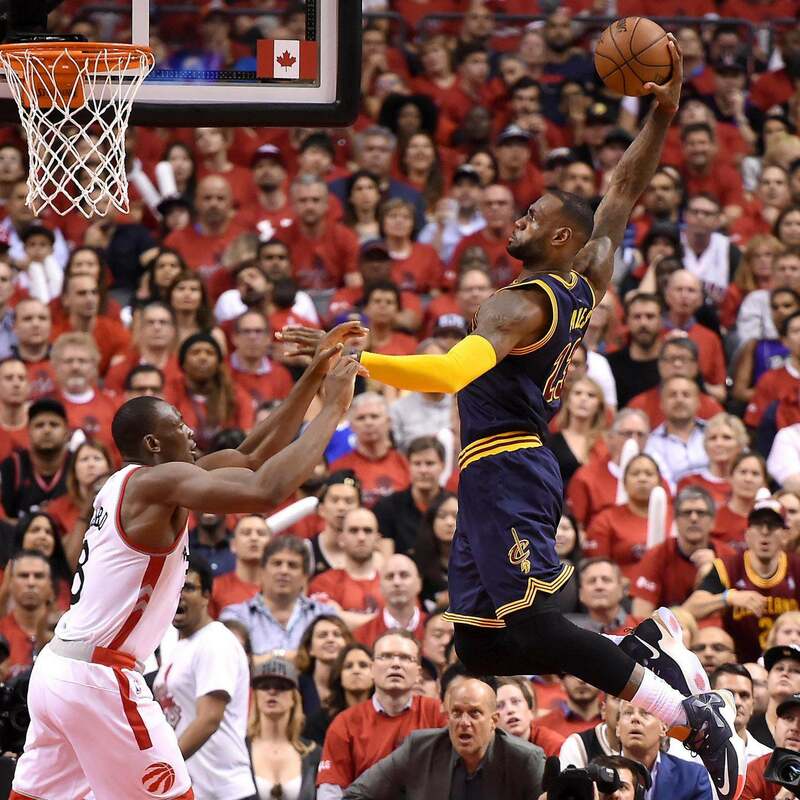 The Cavs led the whole way, up until the Raptors finally took their first lead with less than 3 minutes to play. Their first lead was short lived, though, as LeBron immediately drove to the bucket and got to the line to tie the game back up. Later, tied at 91, LeBron grabbed his own rebound to find a wide open Kyrie Irving at the top of the key. Irving nailed the three pointer, which would end up being the game winner. Cleveland, now 2-0, heads back home to host the Orlando Magic Saturday night, while the 1-1 Raptors will face the Denver Nuggets in Toronto on Monday.